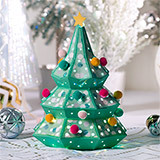 Create your own lighted Christmas Tree with your own personal touch! 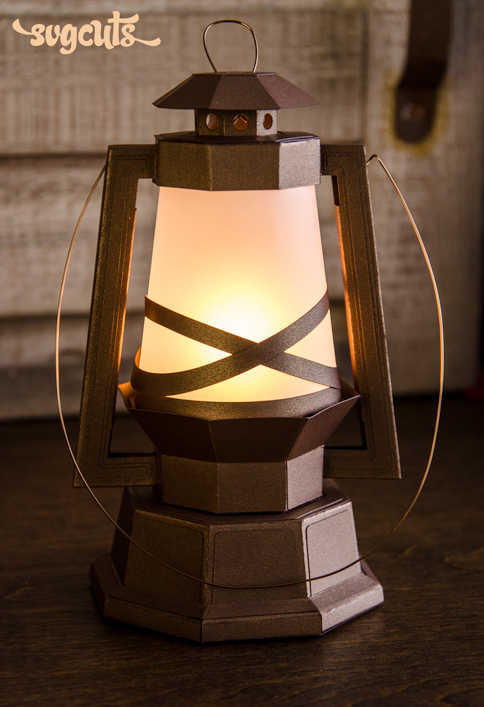 It's illuminated with a string of LED microlights which plug into a wall, so it's nice and bright, and no batteries necessary! 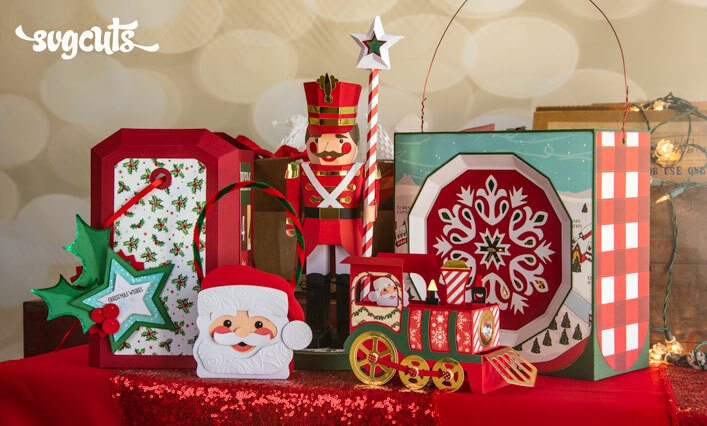 Use the Large Window Gift Box to showcase a special gift. 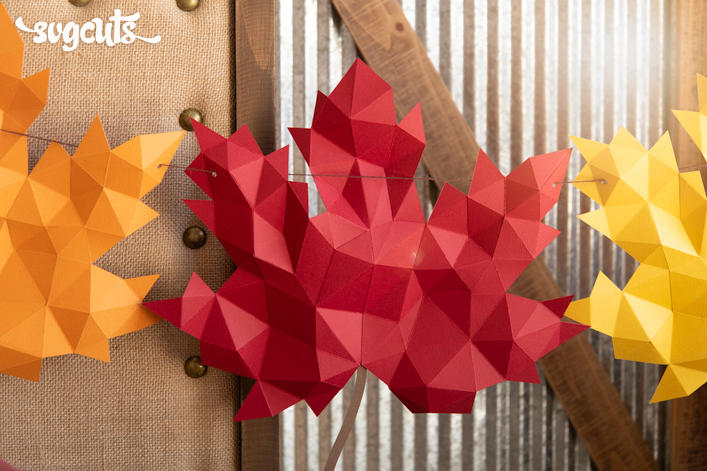 Use the insert as shown with ornaments you can decorate yourself, or put something else inside (not just for Christmas)! The Coffee Box showcases a standard-sized package of a pound of coffee - a fun way to dress up a coffee gift for the java lover in your life. 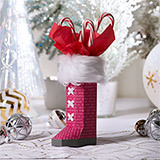 Santa's Boot is surprisingly simple to assemble and super cute with candy canes inside. 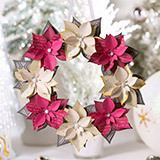 Make the Poinsettia Wreath in your choice of patterns and colors, and even add extra embellishments and glitter to make more of a statement (its base is nice and sturdy). 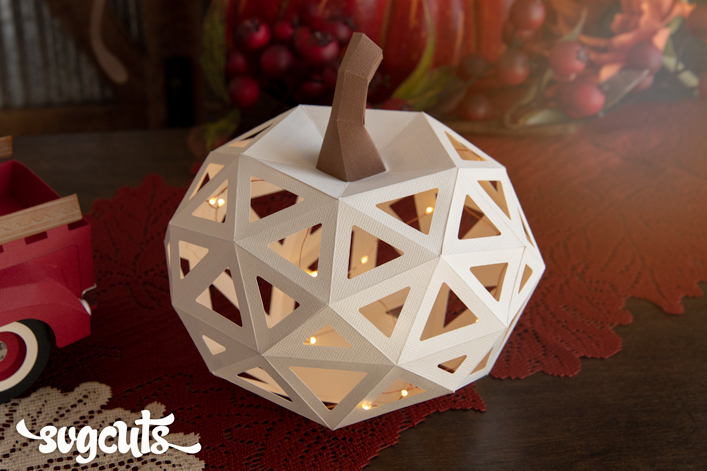 SCAL2, SCAL3, ECAL, MTC, Silhouette Studio Designer Edition and Cricut Design Space. Each project contains pieces that are too large for 12x6 and 8.5 x 11 mats. Candy Cane Lane by BoBunny. Stamps used are from the SVGCuts Merry Little Christmas Stamp Set, currently unavailable. The Christmas Tree features "BasicGrey Fresh Cut Pom Poms" and is illuminated by a string of 100 micro LED lights. The Coffee Box holds a standard-sized 1 lb. package of coffee. The Large Window Gift Box holds six "DIY" clear ball ornaments (83 mm). For the window, a letter-sized piece of clear plastic or acetate is used (a page protector from the office supply store also works). 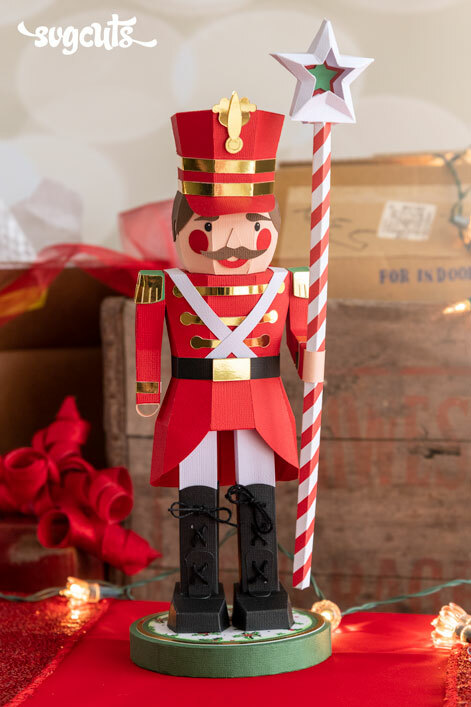 Santa's Boot features a 32" piece of 0.25" wide white ribbon for the laces, and the cuff is a 8.25" (a quarter of a yard) piece of two-inch wide white faux fur trim from Jo-Ann Fabrics. This is such a fun kit! LOVE the tree - so much like the ceramic ones popular when I was a kid!